The team at BST Bathrooms specialise in all kinds of bathroom design and installation, and we take pride in our disabled bathroom projects. 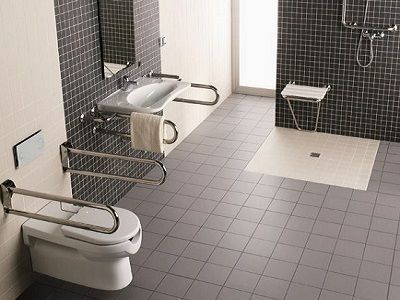 We understand that a bathroom needs to be easily accessible to everyone, no matter their physical condition, and we can work closely with our customers to incorporate all factors of disabled adaptations. Your needs are our priority, so we will always recommend the best products and ensure that everything is placed with freedom of movement for the user. We incorporate a range of products designed to improve usability and safety, meaning our disabled bathrooms installations meet the highest standards. BST Bathrooms are here to help make your life easier. Whether you or a member of your family are suffering from illness, mobility issues or you are disabled we help many people just like you. Offering everything from fitting hand rails to a complete remodelling of your bathroom we will be able to help you in every way. 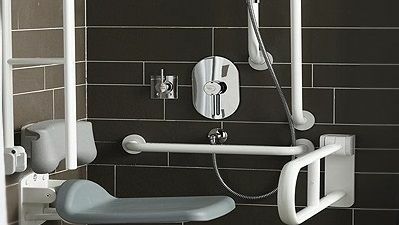 Get the very best for your bathroom installation custom designed around disabled needs from the experts at BST Bathrooms. Contact our friendly staff at any time to discuss your requirements or arrange for a full survey and quotation.